LifeBook is a tablet PC concept with stunning capabilities that I doubt will beat Apple iPad 2. 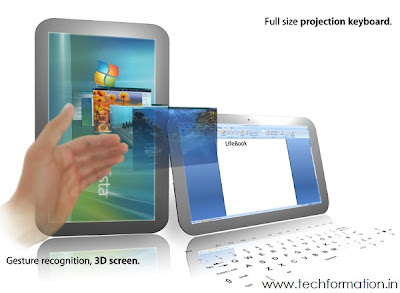 The features this tablet holds are the best ever comparable to any gadget designed till now. 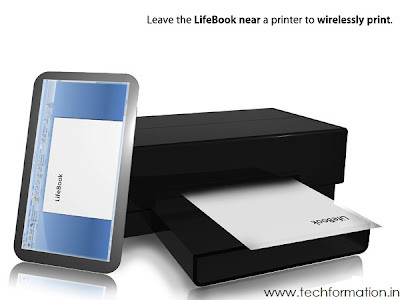 Technology is leaping forward continuously delivering the best of it from time to time. And this tablet is of no exception. 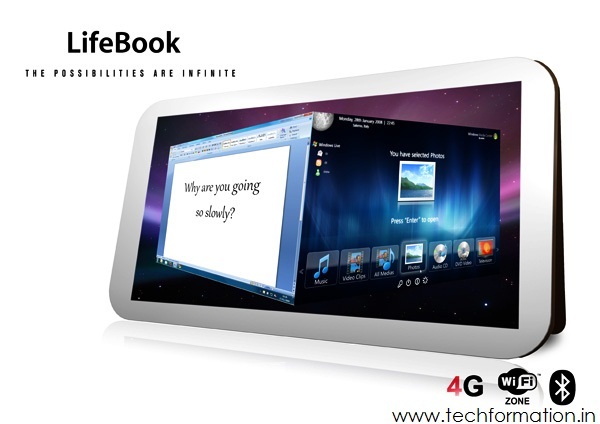 Even we are dumbstruck at this gadget right now, we shift our opinions sooner. This is the world we are living. See the full post to unveil its features!! No need to touch it even. Just wave the hand and your kinetic movements will be recognized. 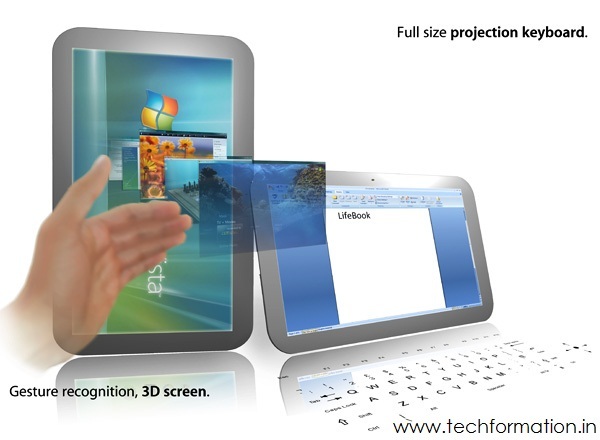 Project the keyboard on any surface to type, along with default touch keypad provided. Built in camera tracks your eye movements to display in 3D. Yes, it has a 3D screen. Enabled with wireless charging. 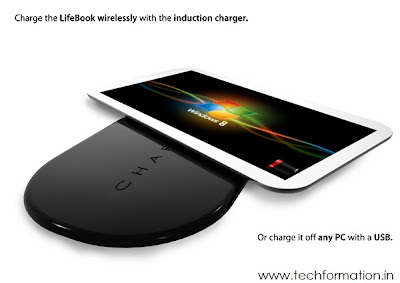 Just put the tablet on an induction charger (provided) or charge it with other PC's USB. Data transfer is intutive and automatic. 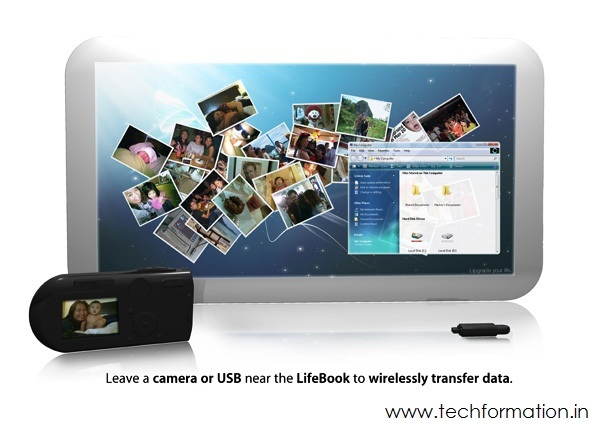 Just keep the transferring device in the range of LifeBook to enable the data transfer. The same case with a camera. Select your favorite photos and keep the cam near LifeBook to transfer them. Just keep the LifeBook near the printer to print the documents!